The Indian Institute of Science (IISc), Bangalore leads the MHRD's overall university rankings of 2018. The Ministry of Human Resource Development has released its annual ranking of national institutes for 2018. The MHRD adopted the National Institutional Ranking Framework (NIRF) to rank the best colleges and universities in India. 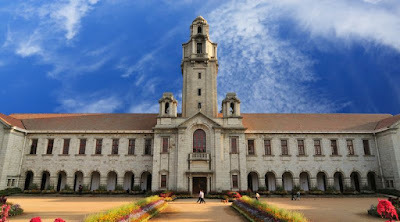 The Indian Institute of Science, Bengaluru, the Indian Institute of Technology-Madras and the Indian Institute of Management-Ahmedabad topped the HRD ministry rankings. K. D. Medical College hospital & Research Center is leading multi speciality hospital and medical college in mathura. Very nice information you have shared here. Great post, Thank you for sharing this. Choithram Hospital and Research Centre is one of the Best Multispeciality Hospital in Indore that provides provide quality and affordable healthcare to all segments of society with world class diagnostic facility, state of art equipments, medical professionals of eminence within a safe & ethical environment.